Inspecting for pests and diseases will not be helpful if beekeepers do not know how to identify them. However, many of the pests and diseases notifiable under the Code of Practice are not yet present in Australia and recognising them may not be easy. Fortunately, there are many resources available to inform beekeepers about what to look for. 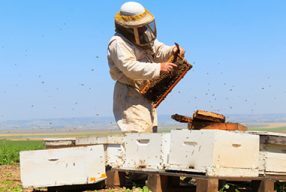 If you manage more than 50 hives, the Code requires that you take a formal assessment within 12 months of first registering or within three years of implementation of the Code if you are already registered. 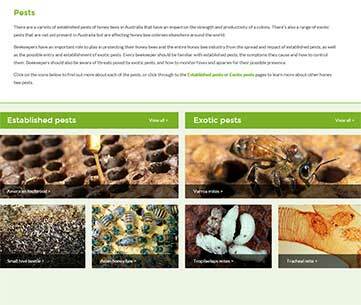 More information about both established and exotic pests of bees and pest bees is available in the Pests section of this site. 9.1 This requirement applies only to beekeepers who manage 50 or more hives. 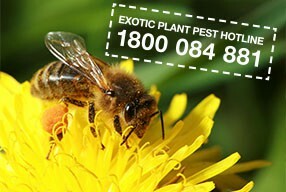 (b) the Beekeeper Biosecurity Training and Assessment Program. 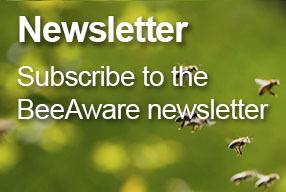 9.3 Subsequent to initial compliance with 9.2 above, a beekeeper must have completed one of the programs described in 9.2(a) or 9.2(b) above in the 3 years prior to any application for re-registration. 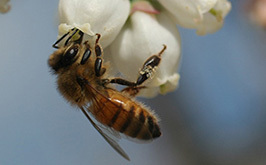 9.4 The beekeeper will be responsible for any costs associated with the training and assessment.